I was in an airport last spring headed home from a conference. My colleague and I popped into a shop to grab a magazine, some snacks and a last minute happy to bring our kids before we waited at the gate for our flight. The “grabbing a magazine” ended up taking a long time, as I was stumped by selecting a magazine. I was over-analyzing my decision, probably because I knew these were the final hours of my trip before I was back to the chaos and non-magazine reading of my real life at home. The pressure to pick the RIGHT ONE seemed intense. There was a section on fashion. I knew these were not worth the $6 since it would only make me wish for cooler clothes and a thinner body –basically feed discontentment. So I stepped to the next section, but I knew the fitness magazines would simply make me wish for a better figure and more of a desire to workout to achieve that figure. Then, I looked for a few minutes at the home magazines, which are typically my favorite. But I decided they would make me want things in my home that at this point I don’t have the budget to buy. I didn’t even walk over to the People magazine genre because I don’t care for them. So, I landed on the recipe magazines. Surprise, surprise. I found this one, which was all brownies and bars. It is a special edition of Better Homes and Gardens – so it’s more of a cookbook magazine. I love it. 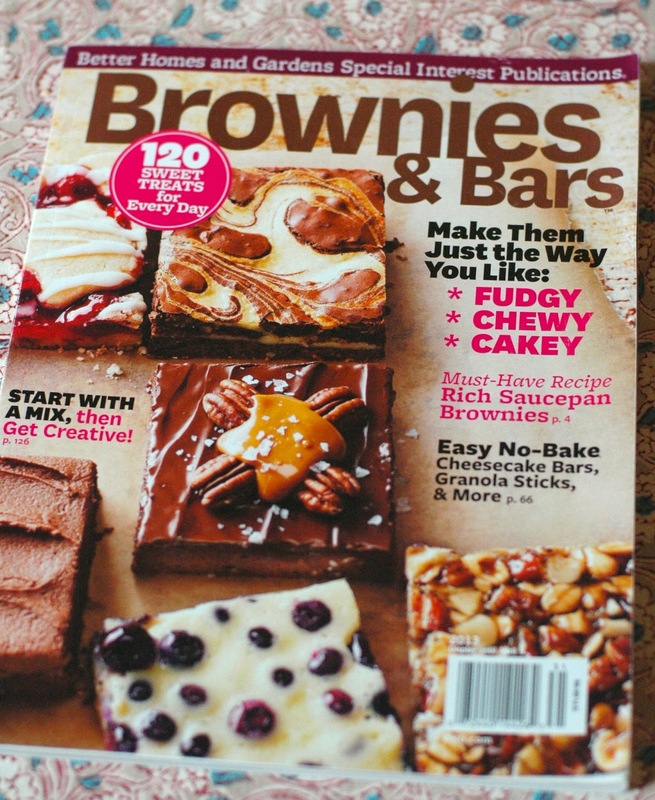 It was a $10 magazine, but really it is a paperback cookbook filled with 120 recipes! I have made a few recipes from it and have on my list to try several more ASAP. 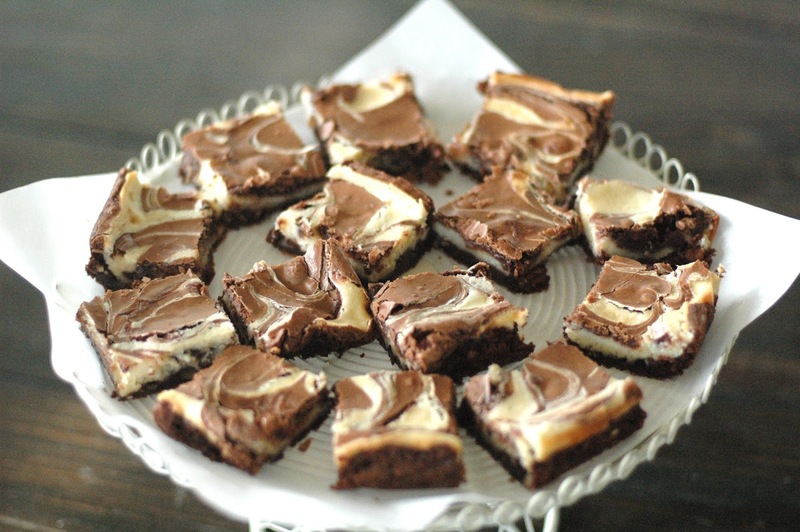 I made these Cream Cheese Brownies and they are as yummy as they are attractive! 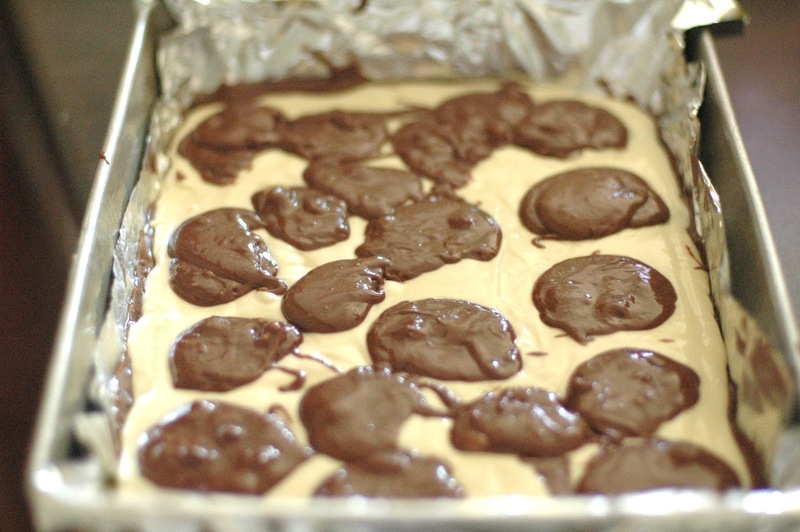 They possess several qualities I admire in a bar: gooey, complex and pretty! They aren’t hard but not simple. They require a few steps and a couple of bowls and pans but I think they are worth it. 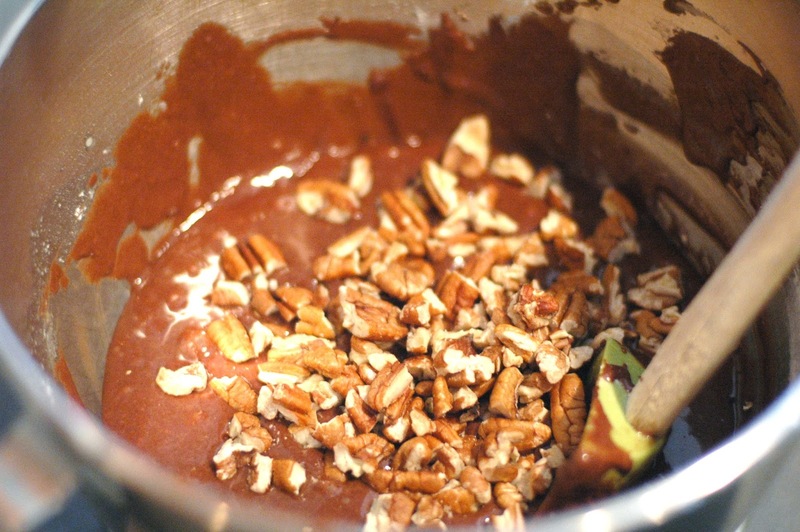 Step 1: In a saucepan cook and stir chocolate and butter over low heat until melted; cool. Meanwhile, preheat oven to 350 ˚. 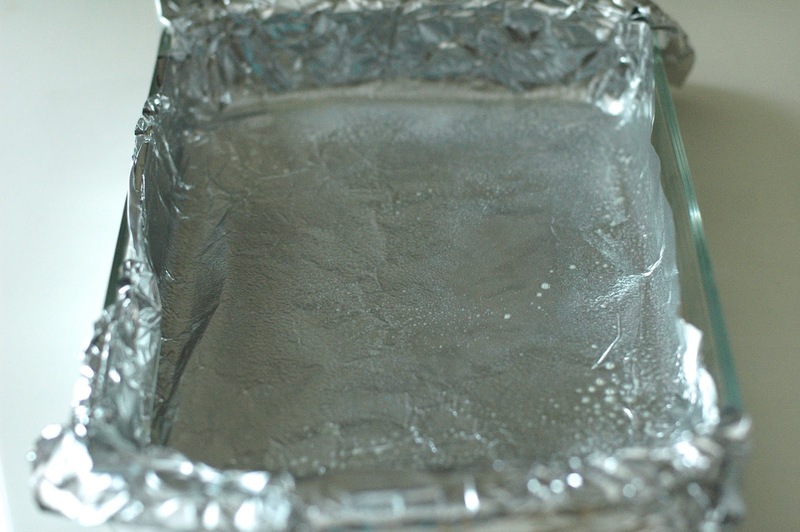 Line a 13 X 9 inch baking pan with foil, extending the foil over edges of pan. Grease foil; set aside. Step 2: In a large mixing bowl, beat 2 eggs with a mixer on medium speed until foamy. Add the 1 1/4 cups sugar, the water, and 1 tsp. of the vanilla. Beat on medium speed about 6 minutes or until mixture is slightly thickened and lemon in color. 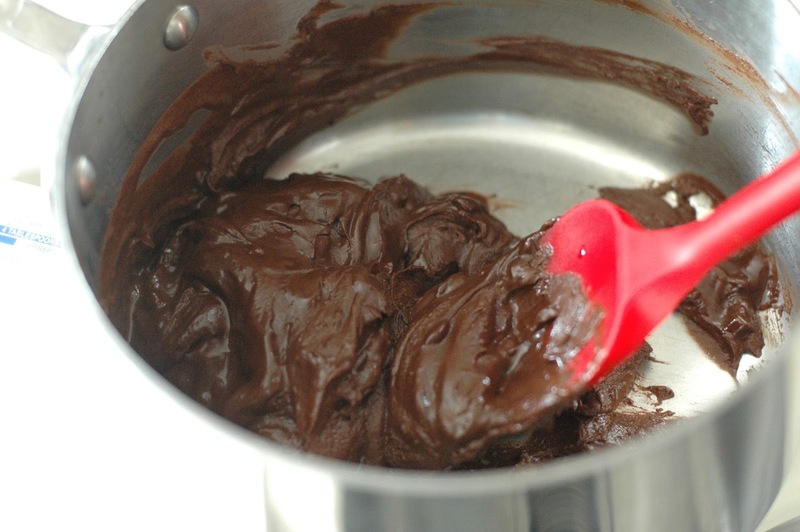 Beat in chocolate mixture. 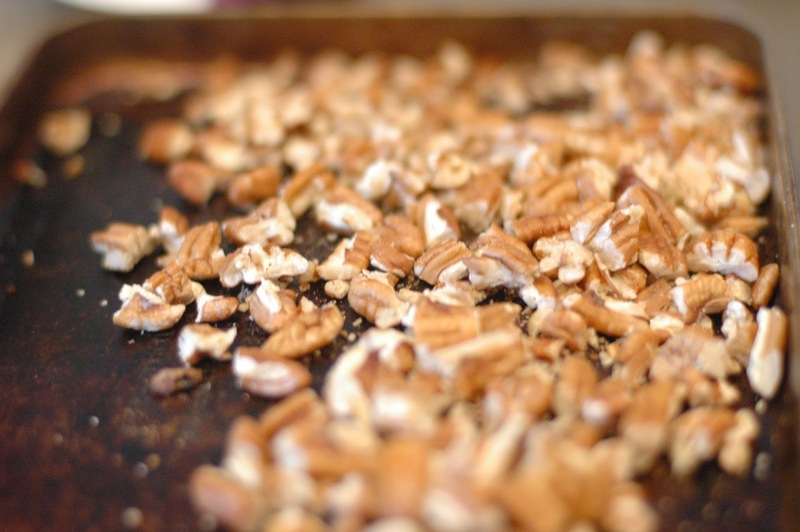 Stir in the 1 cup flour, the baking powder, and salt; stir in nuts. 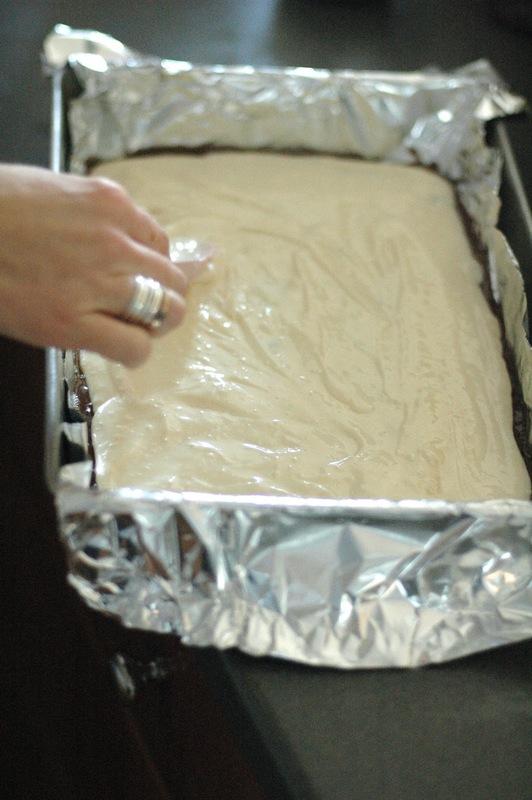 Pour half of the batter into the prepared baking pan, spreading evenly. Step 3: In a medium bowl beat the remaining two eggs, the remaining 1tsp. vanilla, the cream cheese and the 2/3 cup sugar, the 2 Tbsp. flour, and the lemon juice until smooth. Carefully spread cream cheese mixture. Using a table knife, swirl gently to marble. Step 4: Bake for 40 minutes or until toothpick inserted comes out clean. Cool in the pan on a wire rack. Chill about 1 hour. 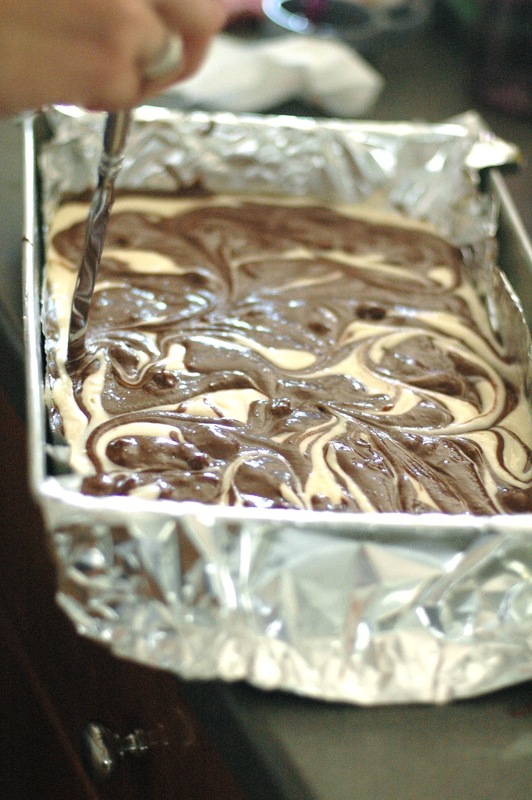 Using the edges of the foil, lift brownies out of pan. Cut into bars. and SWIRL with a knife! Speaking of magazines, the other night I fell asleep on the sofa as I was taping torn-out magazine pages into my spiral-bound sketch books that I use for my recipe notebooks. I was thinking about my students who came to my house for the Social Work dinner the other night. One of them said my house was so “pinterest” which cracked me up because most everything in my house was inspired by a stack of torn out magazine pages, before there was a pinterest. I call my notebooks “old school pinterest”. After cooled- In saucepan heat and stir 1/3 cup whipping cream and 6 ox. 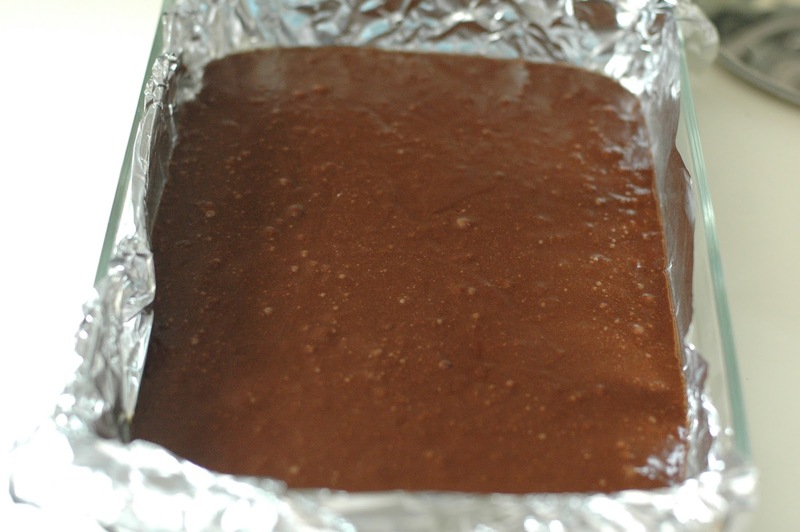 finely chopped semisweet chocolate over low heat until smooth. 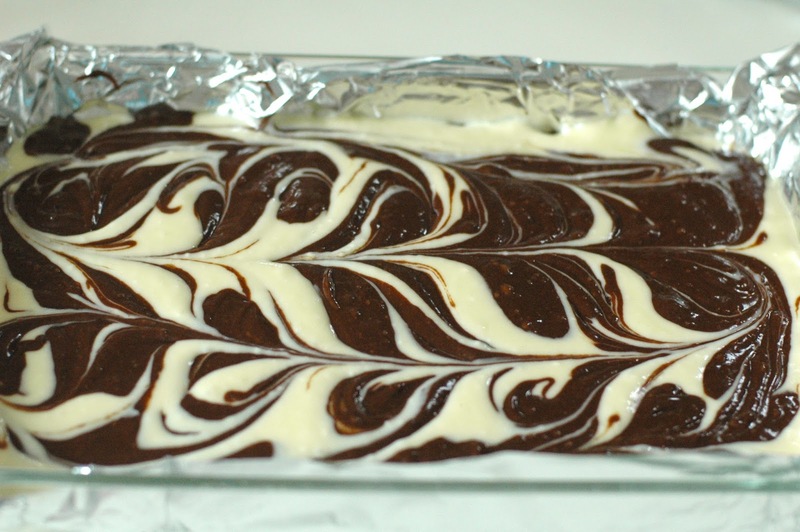 Spread over brownies. Chill about 1 hour until glaze is set. AND…it's 7:00 a.m. and I now want to go eat at Litton's! I love this post! I feel it with you — the intensity of the magazine decision and the conversation in your head! 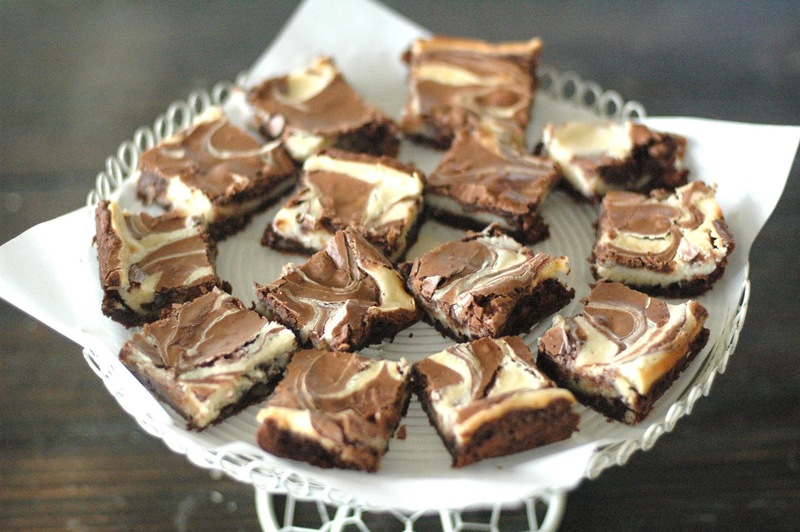 And the swirly brownies look sooo delicious and pretty! I'm glad someone else has this internal process of a should-be simple magazine purchase! Let's go to Litton's- road trip! They have the best burgers with homemade buns and hand cut fries, great atmosphere, and a case full of homemade desserts!